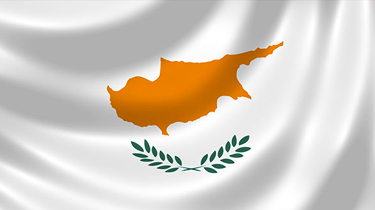 Link Global Management can provide a full range of payroll services in Cyprus. The individual will be engaged on our payroll and income is paid in the form of salary, allowances and expenses, the proportion of each part depending on individual circumstances. Link Global Management will discuss your personal circumstances with you and help you to minimise your tax and social security liabilities, within the boundaries of Cyprus legislation. Income is managed tax efficiently, not just in Cyprus but also in any other country where there may be a liability. A tax return is filed each year in Cyprus with advice and assistance from Link Global Management who will also provide help with filing tax returns elsewhere, if required. Nonresidents who become residents of Cyprus and take up employment there may deduct the lower of 20% of their salary or €8,550 during their first three years of employment in Cyprus. Nonresidents who become residents of Cyprus and take up employment there after1 January 2012 and who earn more than €100,000 per year are granted a 50% deduction on their income for the first five years of their employment if they were resident outside Cyprus before taking up employment in Cyprus. employment exercised in Cyprus, a permanent establishment in Cyprus, rental of immovable property located in Cyprus and pensions from employment exercised in Cyprus. An individual is resident in Cyprus if he or she is present in Cyprus for an aggregate of more than 183 days in any calendar year.